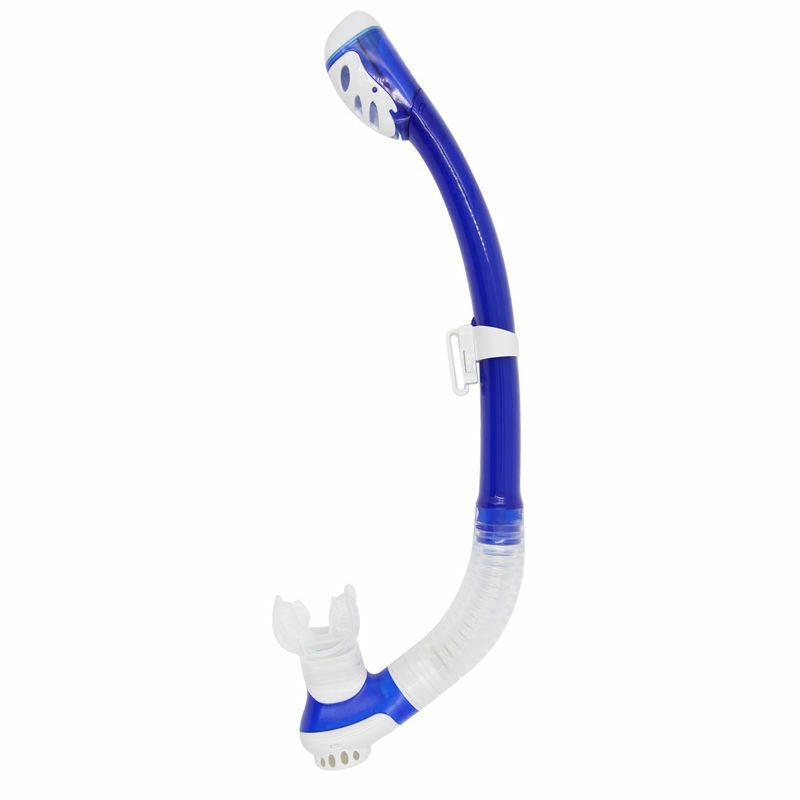 This Center Mount Snorkel has a One-Way Purge Valve on the bottom. If there is minimal water enters into the snorkel, once swimmer's tongue feels the water, the right thing to do is...Just forcefully exhale then the water is easily expelled out through the valve. Head Strap with EVA cushion to provide a comfortable forehead wearing feeling. It is adjustable to fit most adults and teens with swim Caps and goggles. The V-shape cone-shaped hydrodynamic tube help to reduce water resistance and improve vision while swimming. It allows you to focus on swimming stokes such as butterfly, breaststroke and freestyle, including flip turns. 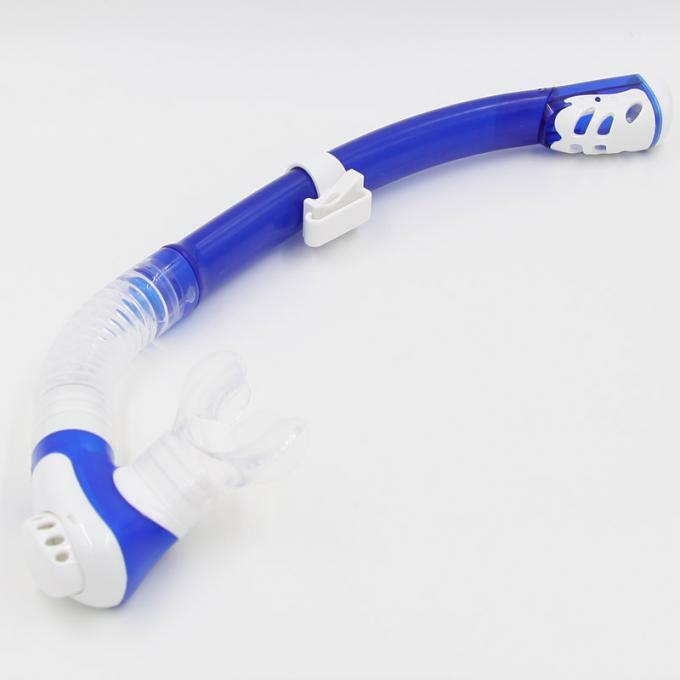 You can enjoy yourself with the face-down head without worrying about your breathing.